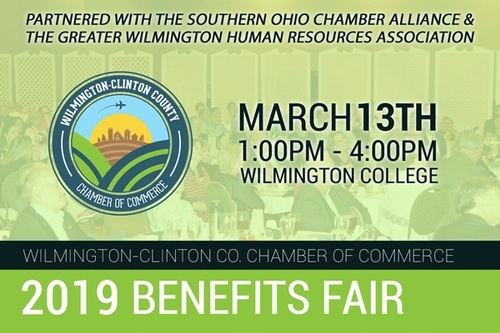 The Wilmington-Clinton County Chamber of Commerce is partnering with the Southern Ohio Chamber Alliance (SOCA) and the Greater Wilmington Human Resources Association (GWHRA) to bring you our first "Benefits Fair" on Wednesday, March 13th! 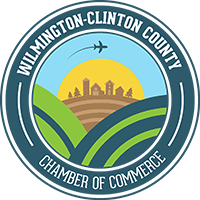 The Benefits Fair will allow members of our business community to interact with SOCA benefit providers, as well as health insurance brokers (including individual, group, and Medicare) and human resource partners, to learn more about their services and how you can save money through your Chamber member discount opportunities! The event will take place from 1PM - 4PM at the McCoy Room at Wilmington College, Wilmington. There will be refreshments, presentations, and door prizes throughout the event. Please save the date and stay tuned for more details soon!